This is an interesting article for me, because both guys have me blocked on various social media platforms. I’m pretty sure Nick blocked me because I was hard on Luimarco. Lui, who? Yeah, he’s been sort of MIA, lately. Phil blocked me, for the same reason Phil has blocked countless fans – for simply saying something he found offensive. I was then, am now, and will likely always be, a huge Shawn “Flexatron” Rhoden fan. I thought Shawn should have won in 2016, I predicted him to win in 2017, and I rallied behind him again in 2018. The truth is, Phil didn’t like the fact Shawn was confident; he also probably didn’t like Kai for the very same reason. Listen, if a guy wants to sign a poster as future Mr. O and you’re the Mr. O that (by that point) had won five or six in a row, what do you care? Why would that bother you? Especially since, you’re more than likely going to win again. The truth is, Phil got into it on stage with Kai, he blasted Luimarco seconds after winning an Olympia, and he also got into it with Shawn in various press conferences. 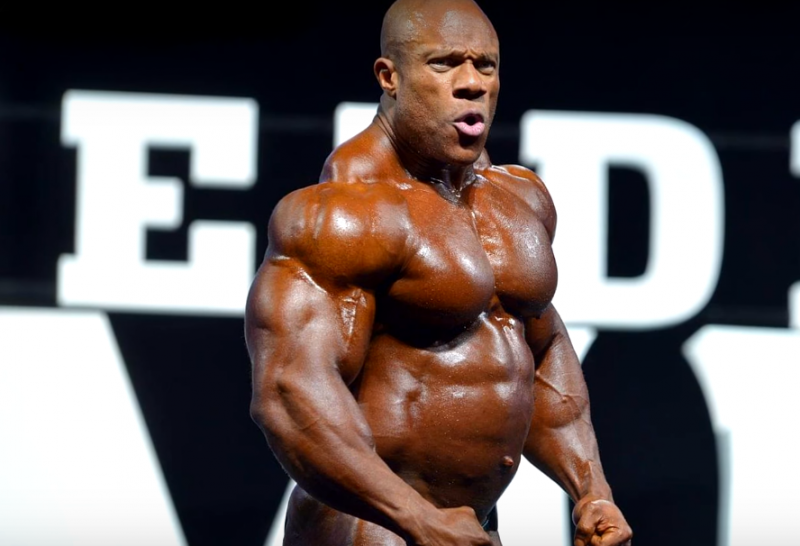 The bottom line is, Phil Heath may have been the first Mr. Olympia whose reign started and concluded with social media being King, but he clearly lacked the ability to process criticism. This whole article is based on a six minute video that Nick Miller made, in response to a 5-10 second sound bite from the Arnold Classic Sunday event where Phil took a jab at YouTube journalists. I, personally, think Nick should have ignored Phil; this video will only make him take more jabs in the future, and this type of back and forth, while entertaining for some, really doesn’t help the sport. Nick Miller has strong ties to a very big supplement company – good for him. He just recently did the the commentating on the Arnold Classic. For a guy probably around the age of 25, that’s huge!! He’s got guys like Lee Haney talking to him, 8x Mr. Olympia Lee Haney. Just the fact Lee knows who he is, is absolutely huge. He’s got guys like Jay Cutler, talking to him, and even singing his praises. He’s doing great work and it’s because of his YouTube channel. Why should he care what Phil Heath has to say? This is the same Phil Heath who threatened to sue him and who clearly tried to avoid him in Columbus. Even Miller, himself, says it. He saw everyone at the Arnold, except for Phil. I’m pretty sure that was no coincidence. The fact Nick even got so offended by Phil’s statement and took to social media, almost looks like he’s becoming what he opposes most. Did Phil seek Nick out? Did Phil mention Nick by name? Or did Phil just share his opinion on something? If Phil’s every word is being scrutinized by others, then that’s a flaw in others. The guy, any guy, should be free to say whatever he wants, without having to explain himself. And yes, he’s a 7x Mr. Olympia, a pro bodybuilder, and a world-known superstar, so even less of a reason that Nick (or anyone else) should be so offended. Also, Nick isn’t the only Youtuber, he isn’t the only vlogger, and as someone also blocked by Phil and even ignored by Phil in close quarters, I can say that Phil’s comment in Columbus two weeks ago, could be as much a dig at me, as it was at Nick, but I don’t care. Look, social media is king! Everyone is on social media. And trying to insult social media journalists as somehow being inferior to those of the dying, dinosaur, print media, is comical. Seriously – comical!! The reason why Nick’s video was a bad move, is because in it, Nick concedes that Phil got under his skin. Phil doesn’t need to sue you Nick, he doesn’t even have to say your name, because you have just told him and your half million subscribers, that Phil Heath can push your buttons with the absolute most minimal effort. Clearly his threats of suing you, did nothing, but knowing he can get under your skin, I’m sure he’ll be doing that a lot more, ever so and even more subtly each time. Now, Phil knows his every word is being scrutinized, so he just might play around with you a little bit. I’m not saying he will do this and I’m not saying he’s even thinking any of these things, but if Phil Heath wanted to troll you, you’ve basically, just told him how. Unfortunately, these types of social media battles equate to entertainment to a lot of people, especially those folks with small followings looking to go viral with their click-bait reaction videos. Now, everyone is going to weigh in, and sadly, it’s not going to sell any magazines, contest tickets, or grow the sport. All it’s going to do, is create something to bicker about. I, even, feel odd reporting on this type of story, but we all know it’s going to be trending, we all know that by Sunday everyone will know (or think they know) everything there is to know about this story. As with my weekly show, The Iron Duque Speaks, as with my articles, I have to keep my finger on the pulse of the bodybuilding community. I always like writing about what’s happening, but this type of news, though very popular, is really rather pointless. Next Next post: Can Roelly Winklaar Rebound in Time for the Olympia?